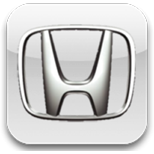 All Honda vehicles manufactured for the UK market after 1998, by law, must be fitted with an immobiliser system. This system prevents an unprogrammed key from starting the vehicle and therefore reduces the risk of vehicle theft. Many earlier Honda models come with 3 keys, a master or original key, a valet key and a learning key. The learning key is only used to program additional keys and should never be used to start the vehicle as this may cause damage to the immobiliser control unit.